Flower Girls are known to sometimes steal the show. 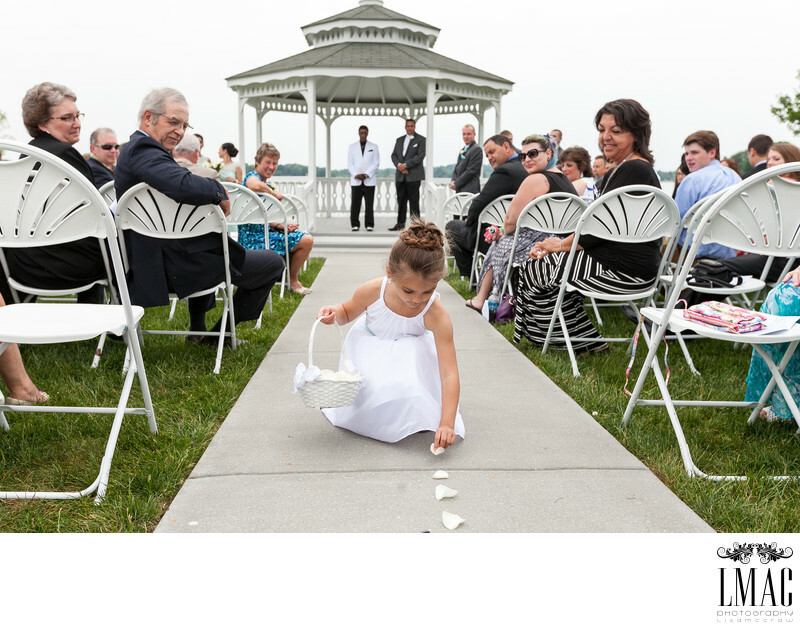 This Flower Girl took her role very seriously as she made sure each petal was strategically and symmetrically placed. It was the highlight of the wedding and made for cute wedding photos. This wedding was held at the Springlake Party Center in Lakemore, Ohio. Lakemore lies on the eastern part of Akron. Springlake Party Center is a popular wedding venue for brides and grooms desiring to have their wedding in the Akron area. Springlake Party Center accmodates both wedding ceremonies and receptions with it's beautiful country and picturesque lakefront. Location: 1200 Main St, Lakemore, OH 44250.